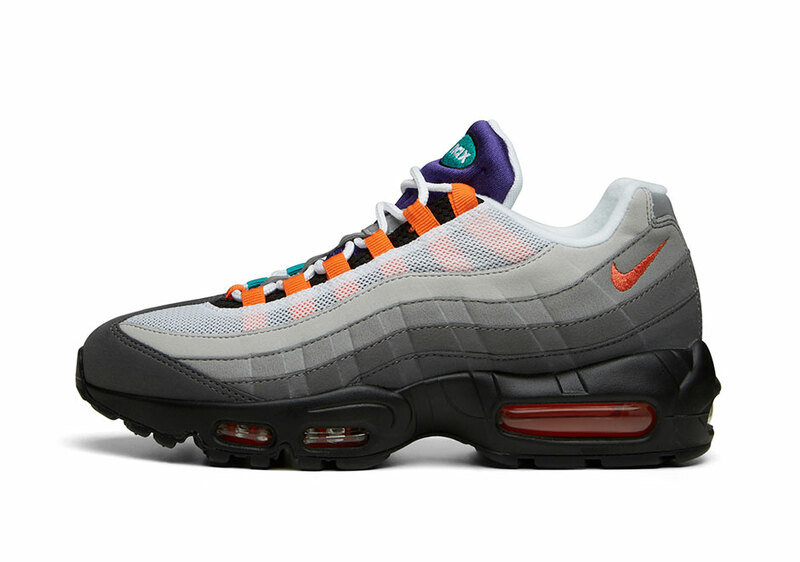 The “What The” theme has been a pillar of celebration for several Nike Basketball models and those mash-up concepts have served as retrospectives of the athlete by calling out some of the most memorably colorways in history. 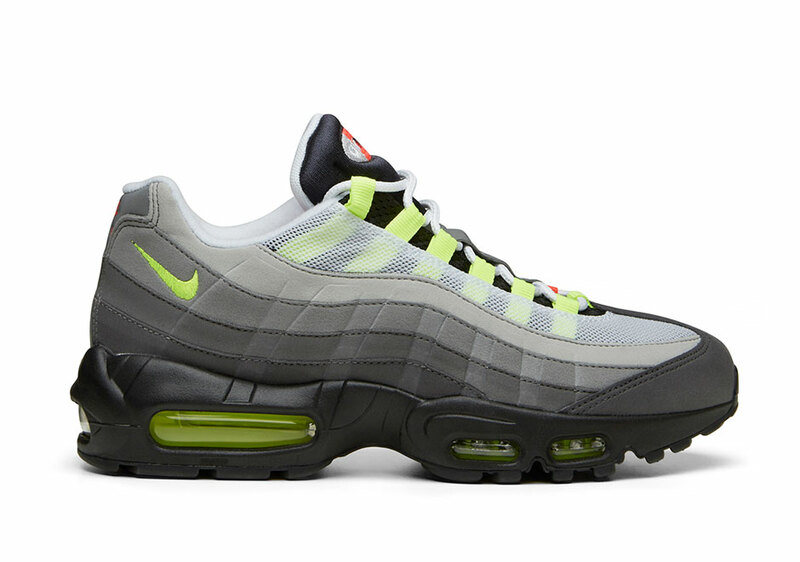 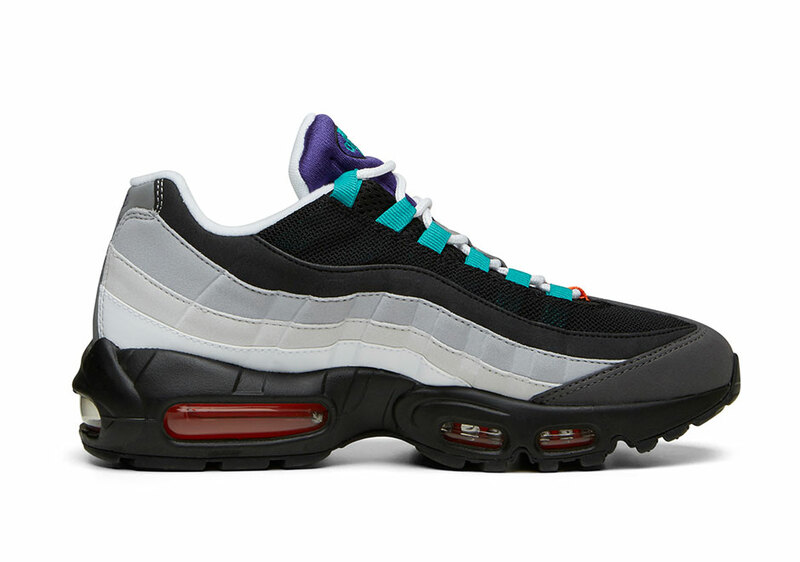 However, we’ve never seen that idea put to use on an Air Max sneaker, but with the revival of the Air Max 95 and the introduction of new models upon us, Nike Sportswear is ready to bring forth the first ever “What The” Air Max sneaker. 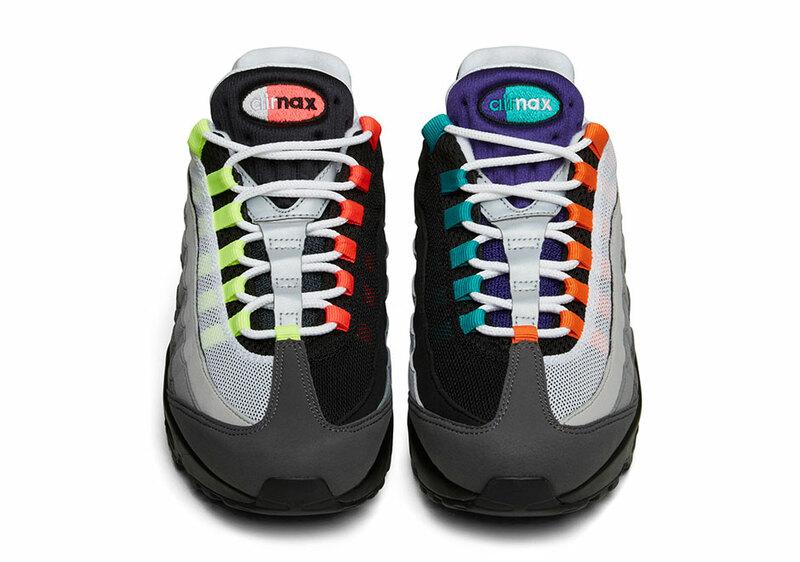 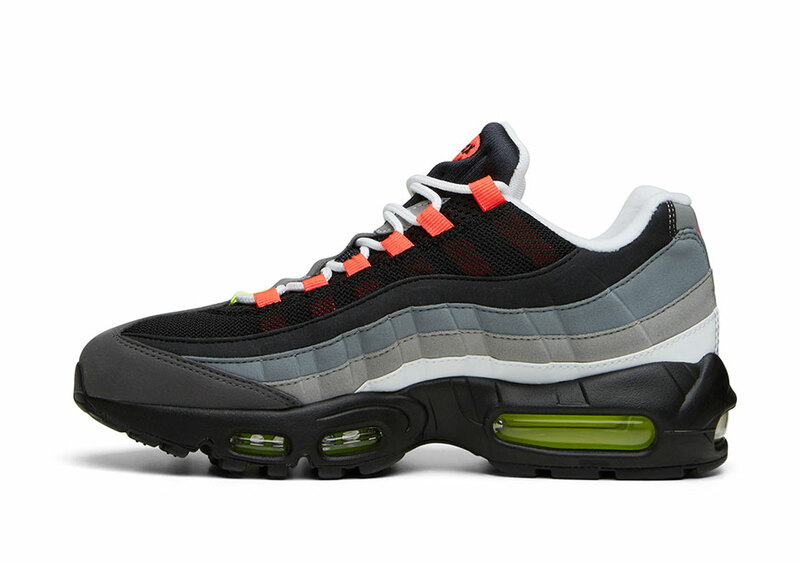 The “What The” Air Max 95 features a mix of all original colorways of this popular running model (Neon, Orange Blaze, Grape, Comet), but the classic dark grey toe and reflective silver spine remain. 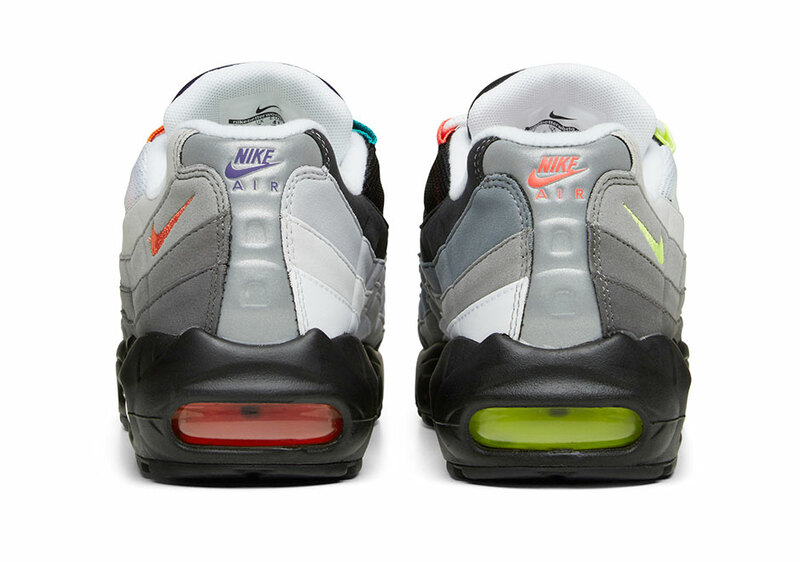 Get a first look at this awesome sneaker after the jump and stay tuned for U.S. release info.